People from all over the world, regardless of age and lifestyle had been hooked with loom bands. So what are these stuff anyway and why should people have it? Loom bands were created by a U.S. entrepreneur named Cheong Choon Ng. When he saw his daughters having fun weaving the usual elastic bands, he then tried to join then. He noticed that his fingers were too big, making him decide to come up with a prototype of these rubber bands. And that was the start of what we now call loom bands. Loom bands had been recognized as one of the best selling toys in the world. With its cheap price, it's no wonder why everyone can have it for themselves, especially for their kids. You can even buy it online from stores like Amazon so you won’t be having a hard time looking for it if you’re planning to try making bracelets or other items made up of these materials or purchase it as a gift to your friends or family members. 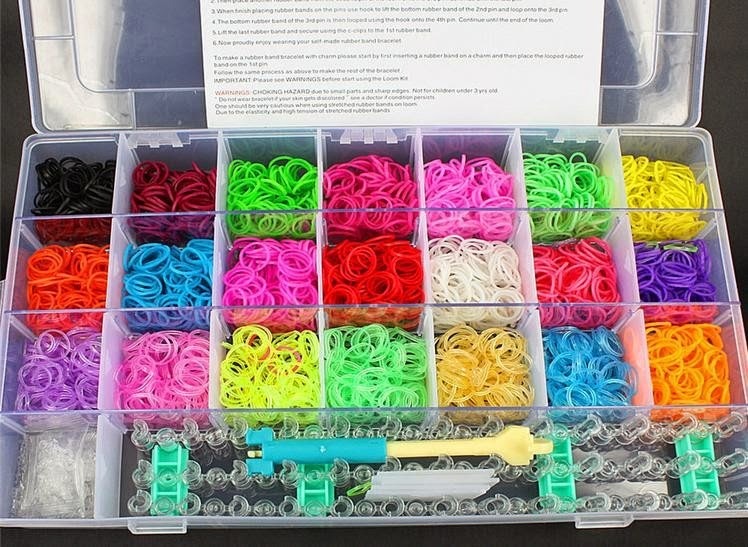 Loom bands are so simple to look at, but once you start to create your own bracelet out of these, you will find it an exciting activity which you can do with friends or family. Even if we are now living in a digital era, loom bands are still a craze at various places worldwide. Knowing that you can make designs from these, you will surely get excited trying it out yourself. How? You can search online for procedures or watch plenty of videos in YouTube. Loom bands are not only used for making bracelets but are also perfect for necklaces, phone cases, key chains, charms, and even as a dress. Parents will love this kind of toy for their kids rather than seeing them get addicted with online games or tablets. These can enhance creativity while keeping kids away from getting involved with trouble by hanging out with the wrong crowd. The loom band craze is for everyone. You can actually see famous people like Kate Middleton from the Royal Family wearing a loom band bracelet. David Beckham, Miley Cyrus, and Harry Styles are also fond of wearing stuffs made from these elastic bands. So before it’s too late, why not buy your own loom band kit and weave your own fashion accessory? !